Screenshot of the new Decks Unlimited website. In this frigid weather we are having (and it’s not even Christmas) let’s think about Spring and SUMMER! Those great BBQs on our decks, entertaining, playing with our kids are only….well 6 months away. But it’s never too early to begin planning. 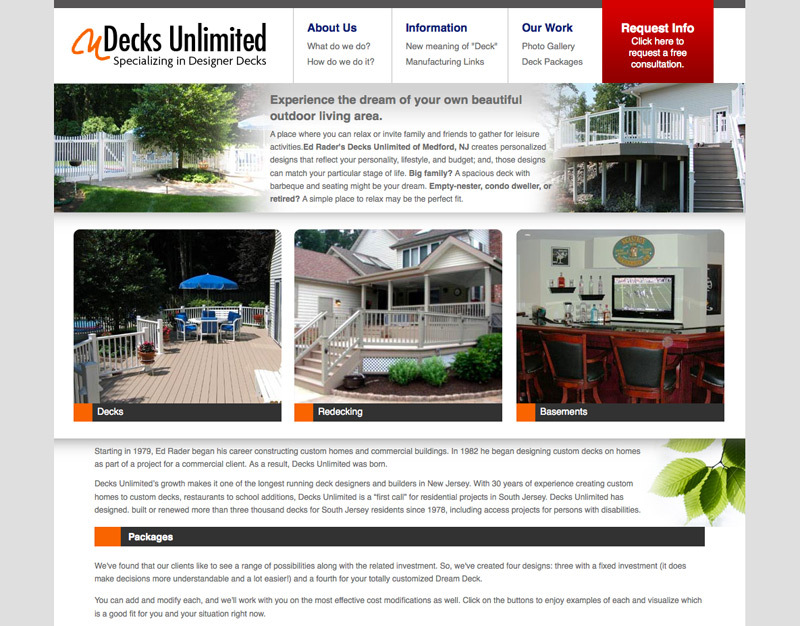 We’ve just finished a great website for Decks Unlimited in Medford, NJ. Check out their new site. Ed Rader, the owner of Decks Unlimited is a great guy and can create any deck you can dream up. Like what you see? Why not give graphXevolution a call to see how we can transform your online presence into something impressive and effective. Call 570-647-8301 or email info@graphxevolution.com. Want To Be Part Of Our New Site? INTERESTED? 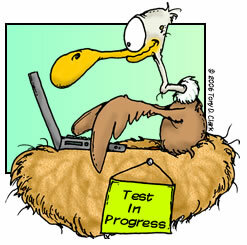 We are looking for a few people to help us test our new website, due to launch January 2011. REQUIREMENTS: A way to video tape yourself (webcam, upload to YouTube, etc.) and a computer with Internet connection. WHAT YOU’LL BE DOING: Answering a few questions about our new site, it’s design and content, and thinking outloud while taping your session. This way we can hear the steps you take. We want to hear about any stumbles or confusion, and of course how fabulous you think it is (only if you really do) to use the feedback to make our site AWESOME!